We are all about to plunge into the Wilderness Spotsylvania 150th. You can find the schedule here. The obvious highlights: opening ceremony with Dr. Bud Robertson as keynote is Saturday morning at 10. The culminating event is Saturday evening, May 10, at 7.30 (it will be pretty cool, I think). And then May 12. More on that below. Given that most of you who read this tend to take history seriously, we thought we’d offer up a few comments on the program–sort of an annotated schedule–focusing on those events that catch the spirit of Mysteries and Conundrums. We offer them in chronological order. Bear in mind, we think EVERYTHING we’re doing will be good…. But these are things that focus on places rarely seen or stories rarely told. Saturday May 3, 1-3 p.m. 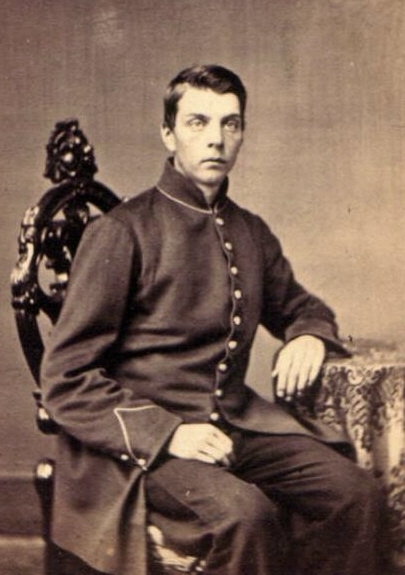 Decisions and Consequences: Grant and the Landscape of War. This program will focus on the area between Wilderness Tavern, the Wilderness Crossroads, Grant’s HQ, and Ellwood, and will avail the new bridge over Wilderness Run. Beth Parnicza leads, and there is lots of new and good stuff on this tour, along with some sites you likely haven’t seen. Monday May 5, 5-7: Life and Death at the Crossroads. A program focused on the May 5 fighting around the Brock Road/Plank Road intersection. The area south of the Orange Plank Road is a vivid and, to me, haunting landscape. Beth Parnicza and Greg Mertz lead this one. Another program I am leading on May 6 will cover this area again. Tuesday May 6, 6-8 a.m. Sunrise in Tapp Field. Frank O’Reilly, Eric Mink, and Andrea DeKoter will bring the sun up in Tapp Field, doing a real-time program that confronts Lee’s near disaster that morning. Being on the battlefield at dawn in real time is something everyone should do. Tuesday May 6, 9:30-Noon. Longstreet’s Flank Attack. Greg Mertz and Eric Mink lead the first tour of this ever done by park staff. 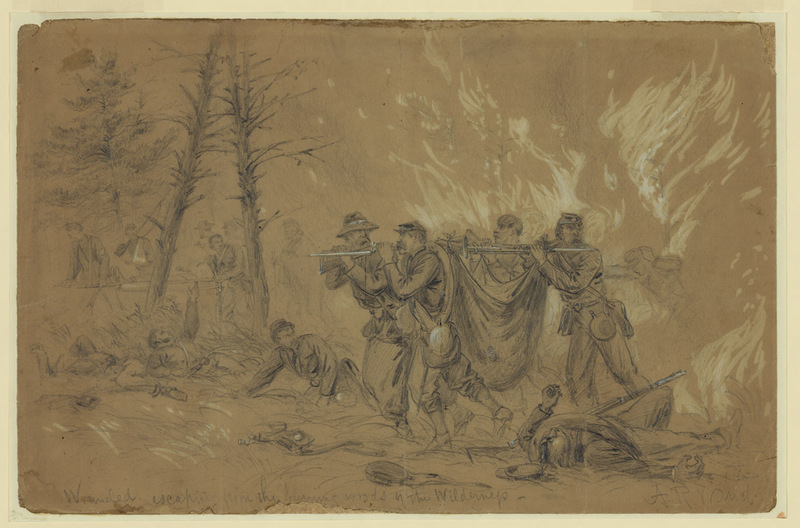 For those of you who were at Chancellorsville, this is the equivalent of Frank’s trek following Jackson’s Flank Attach (a tour commonly referred to as the “death march” around here). It’s bushwhacking all the way, but a great walk. Tuesday May 6, 6-8 PM. Gordon’s Flank Attack. Greg Mertz and Frank O’Reilly lead this one. Because of Route 20 and the lack of parking on the north side, we rarely get to do a public tour up in this area. This one comes in through Lake of the Woods. A rare chance to see an overlooked part of the field. Thursday, May 8. We have two programs (one morning, one afternoon) going at Laurel Hill–to my mind the most overlooked place on any of our battlefields. Thursday, May 8, 4-6 p.m. Building the Mule Shoe Salient. Eric Mink and Beth Parnicza present a classic M&C style program, exploring the Confederate works from the base of the salient to the East Angle. This one is entirely new. Friday May 9, 7 -8 p.m. City of Hospitals. If you like mood, this is your thing. I will be doing a program on the Union wounded from Wilderness and Spotsylvania inside the Fredericksburg Baptist Church, used as a hospital in May 1864. 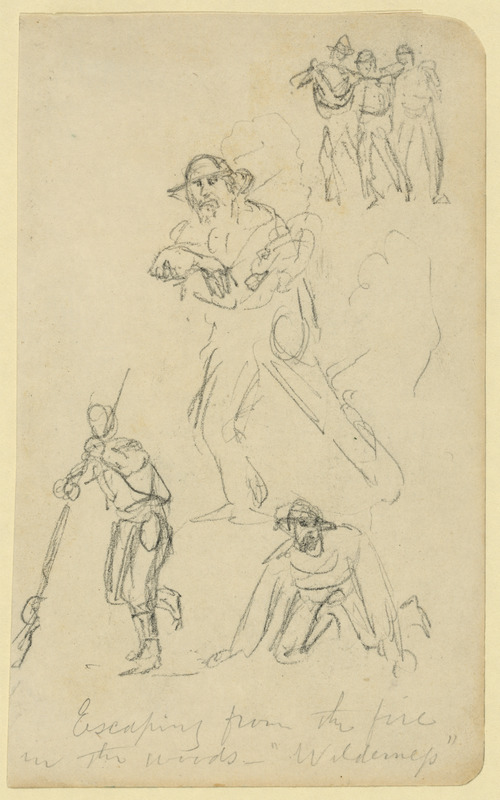 Lots of images. A very M&C sort of thing. Saturday, May 10, 4-6. Upton Gets His Star. Eric Mink and Beth Parnicza follow the footsteps of Upton’s attack. We don’t often do a program out here. A great walk. This program precedes the culminating event. Monday May 12. All day. We will be on the field at the Bloody Angle and East Angle from 5 a.m. until 3 a.m. the next morning, mirroring the 22 hours of combat on May 12-13. A wide variety of programs, a combination of interpretation, reflection, and commemoration. This will be one of the unique days in our careers, without question. Sunday May 11, 9 am-4 pm. 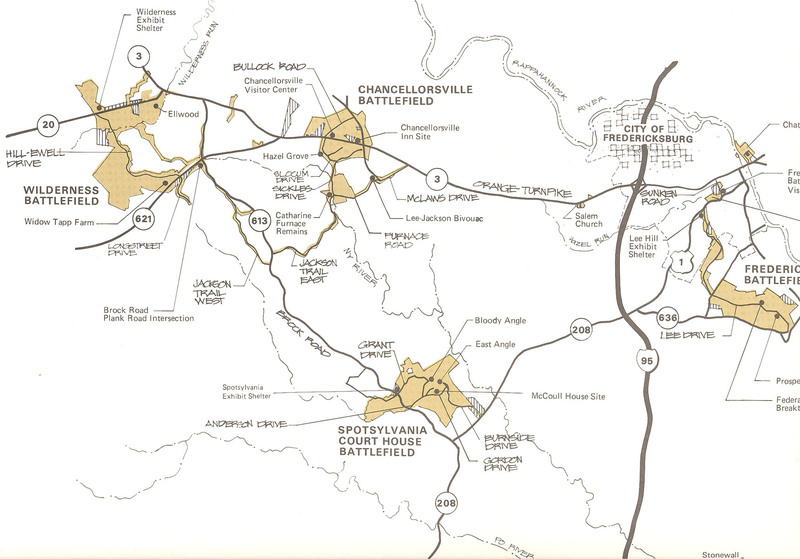 Hidden Spotsylvania: A Hike. Beth Parnicza and Peter Maugle will hike do a day-long hike focused almost entirely on rarely visited bits of the battlefield. Don’t forget this is Mothers’ Day. 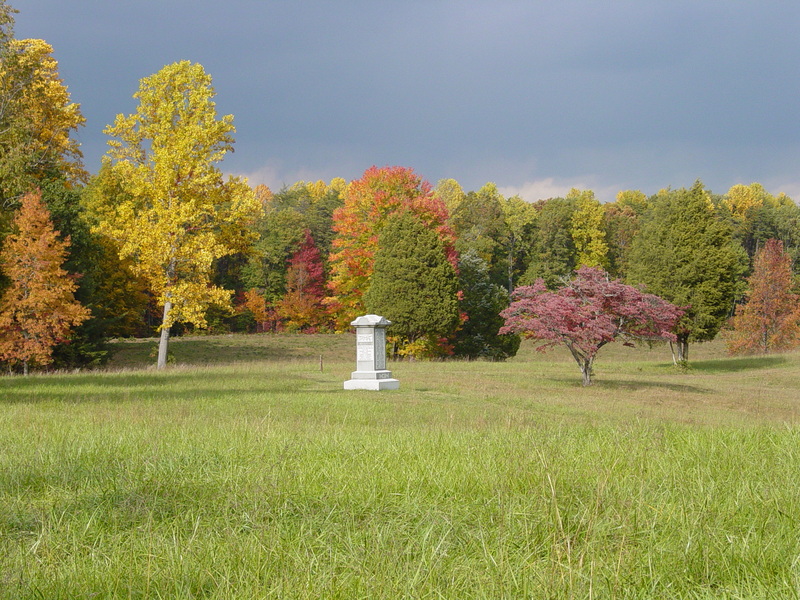 Sunday May 18: The Battle of Lee’s Last Line. Frank O’Reilly and Greg Mertz will follow the footsteps of what may have been the least successful attack the Army of the Potomac ever launched. There is much more than this going on. We hope to see you. And if you do come, announce yourselves. We would love to meet you.